We offer rich Java application development solutions, which include designing and development, software architecture, project solutions and software consulting. Enaviya Technologies has more than decade experience to develop Custom enterprise Java application development services that provide both server and client side solutions. Our in-depth experience in J2EE technologies and Web based application development solutions, which includes designing and development, software architecture and software consulting. 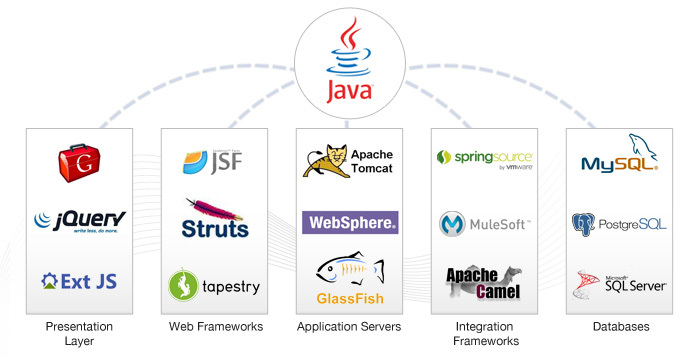 Why Java Software Development Services with Us? Get exceptional Java web application/Software development services. Our agile development methodology making process transparent to client. Most trusted software Development Company with quality assured java web development services. We also offer Offshore/Outsourcing Java software Development services based on business need or requirement. We provide complete services from software development to server-side support and maintenance. Provide efficient services as per your company need from enterprise applications development such as Java/J2EE development to Java CMS/Migration.